Daryl Johnson (Worcester Park, United Kingdom) on 30 January 2010 in Documentary & Street. Quite an impressive shot. Nicely captured! Nice shot Daryl, the snow pretends to make half of he scene monochrome and the colours struggle to make themselves seen. Stan aside, coming through! Cool shot. Like I said, looks like The Great White North. @Twelvebit: Woke up this morning to another white covering... very light though, and the roads look OK.
We've had, too, a little bit of snow here, on Febr.1st....and had all sorts of warnings on TV! I wonder what would happen if we had in Tokyo-Yokohama area the kind of snow you had over there.....I bet everything would come to a stop! 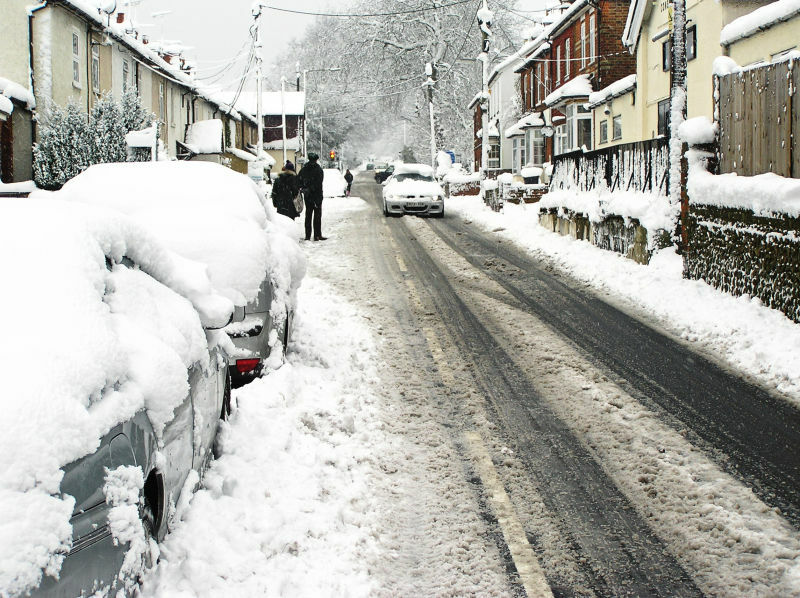 @Japanalia: I do believe that Japanese cities would be better able to cope... local councils in England ran out of salt to put on the roads! Looks like you have more bloody snow than we've had all winter so far. I keep waiting... Anyway, lovely shot!